This is the first survey of the print works of Bruce McLean. 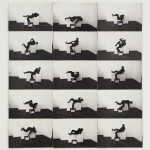 This is the first survey of the print works of Bruce McLean. 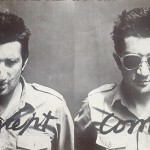 Tracing the development of an artist who was at the forefront of the development of Conceptual art in Britain in the 1960s, the exhibition will feature limited edition print works across four decades including a collection of rare posters and books. McLean has exhibited extensively internationally but this is the first time a survey of his print works will be shown in one gallery and is an opportunity to see why he has been such a strong influence on artists over several decades. 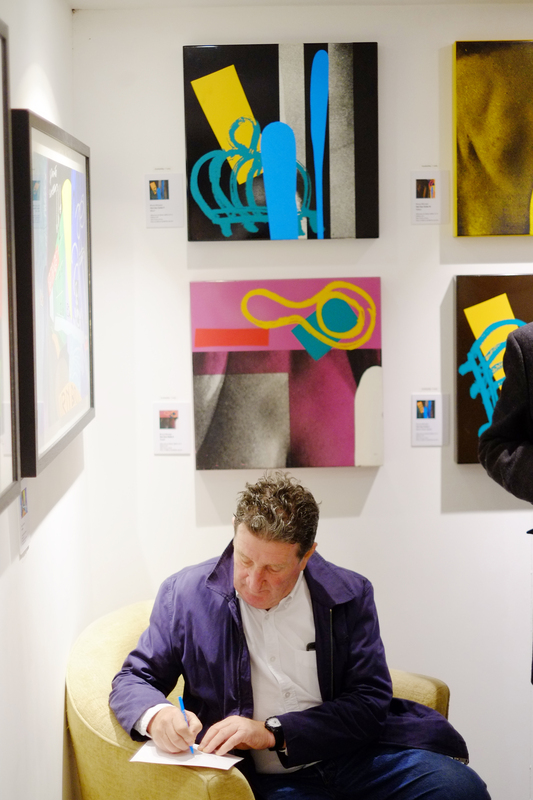 On the 28th April at 7pm Bruce McLean will interview himself, focusing on his printmaking activities. Known for his humour and wit the evening promises to be an entertaining and informative discourse on what McLean describes as ‘the inherent problems with print etc’. McLean’s previous talk at Frieze in 2014 was one of the most talked about aspects of the event. McLean, who has lived in Barnes since 1965 and has a studio in Perrivale, told For Arts Sake the importance of leading artists exhibiting in West London and his passion for ensuring that the spotlight is shone on interesting spaces for art in the West of London. 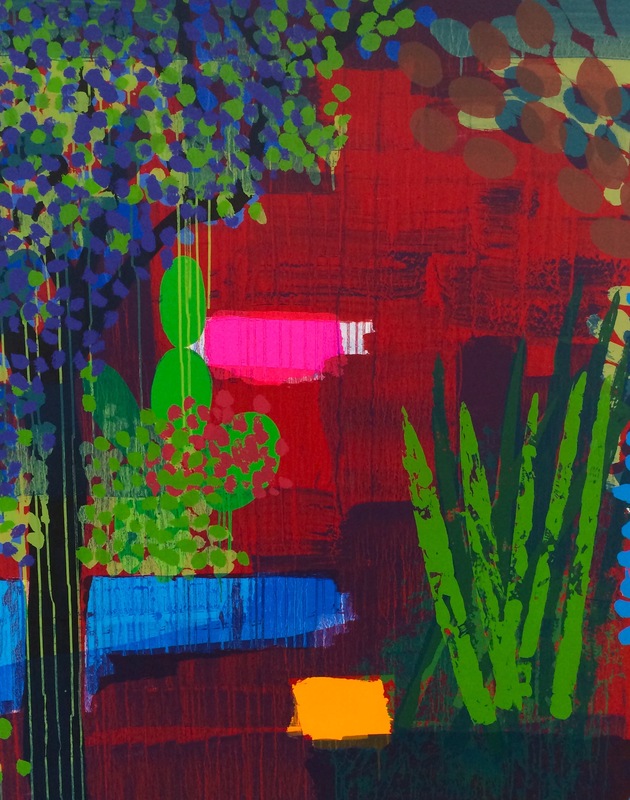 ‘Bruce McLean’s latest silkscreen prints explore the world of the garden and range in composition, palette and atmosphere from bold and bright to serene and contemplative’ said Brian Davis, owner of For Arts Sake. 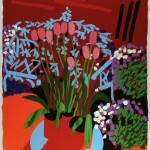 ‘We are very proud to be bringing them, along with a range of other print works, to Ealing. With many leading artists exhibit mainly in the West End or East of London this is a real opportunity for West Londoners to see the work of a hugely influential artist right on their doorstep’. Survey of the print works of leading British avant-garde artist. Work spanning 40 years to be shown at For Arts Sake, Ealing. Bruce McLean was born in 1944 and studied at Glasgow school of art then St Martin’s in London, going on to become one of the leading figures in British contemporary art. In the 1960s McLean became known as an art world ‘dare-devil’, causing a stir at St. Martins when he rejected his tutors’ views of what sculpture should be. In Pose Work for Plinths I (1971; London, Tate), he used his own body to parody the poses of Henry Moore’s celebrated reclining figures. He then went onto use rubbish or his body as sculptural material, and making works that were all about plinths and framing devices. He quickly branched out into other mediums. At the age of just 27, McLean was the youngest artist ever to be offered an exhibition at the Tate Gallery, but opted, for a ‘retrospective’ lasting only one day. Numerous international shows have followed and McLean continues to bring colour and humour to different mediums, working as a sculptor and painter. This entry was posted in EXHIBITIONS and tagged Bruce McLean. Bookmark the permalink.